Sign Up! Search and share car trips with friends, create a private community or group. Check out our carbon emission calculator to help reduce our carbon footprints. My Lifts is free and registration is necessary to Offer or Request lifts. 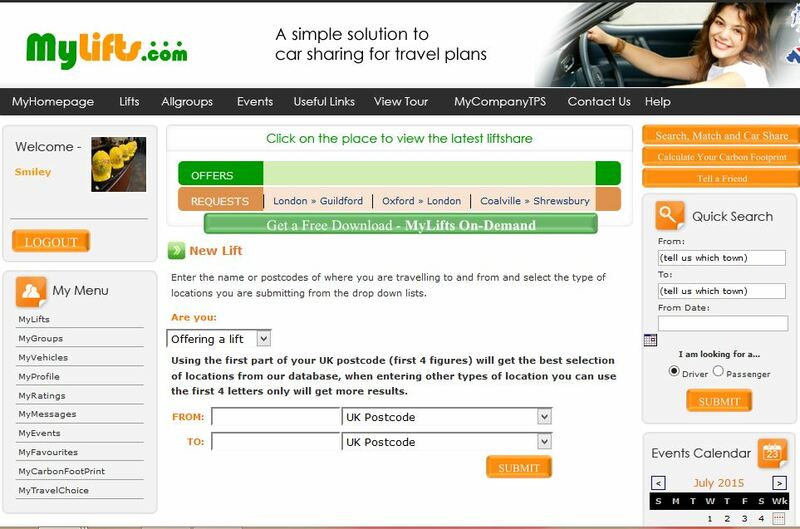 MyLifts makes sharing journey's fun and easy.